Here are some facts about Leif Ericson. Leif Ericson was born in Iceland in about 970 and died around 1020. He is widely believed to have landed in North America several centuries before Christopher Columbus. Ericson supposedly founded a Viking settlement at Vinland on what is now the Canadian island of Newfoundland. In 1960, archaeologists discovered evidence of a Viking settlement there. Vinland may have been named after the grapes that were found growing there. Although Vinland may have been in Newfoundland, other places in the eastern US and Canada have been suggested as a possible location of the Viking settlement. Some historians claim that Ericson sailed as far south as what is now Cape Cod, Massachusetts. Others say that early Norse explorers made it to Minnesota and the Midwest. 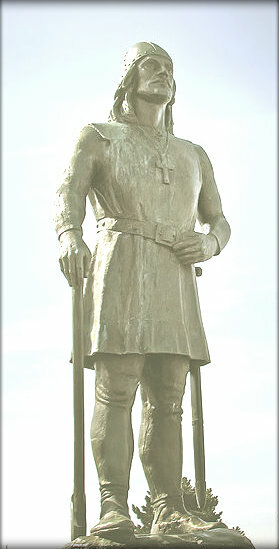 There are several statues of Leif Ericson, including one in Iceland, and one in Norway. In the US, there are statues of the explorer in Seattle, Boston, Cleveland and Minnesota. Leif Ericson was the son of a Norse chief Erik the Red, named for his red beard. Erik the Red discovered Greenland, naming it so in an effort to attract settlers. Many of the details of Ericson’s voyages are known from the books called the Norse Sagas. Some of the information suggests he found North America accidentally when his ship was blown off course. Very little is known of Ericson’s personal life. He is known to have had two sons, one of whom was banished from Norway for manslaughter. At one point, Leif Ericson was given the nickname ‘Lucky’ as he rescued a ship on one of his trips, and obtained various valuables and items that could be traded. In 1930, Wisconsin was the first US state to celebrate Leif Ericson Day, on October 9th. In 1964, Congress decided the day would be a nationwide US holiday. His name is sometimes written as Leif Erikson. What next? 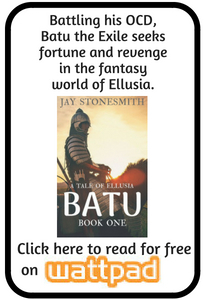 Find out more about the Vikings.